A strange fish in the San Francisco Bay has been making quite the racket there for a while, and scientists may have found out why. Fish are singing in the San Francisco Bay. There’s no mistaking it. It’s less melodic than a loud drone that begins in the dark of night and starts just before the sun comes up. But why? Scientists think they have an answer. 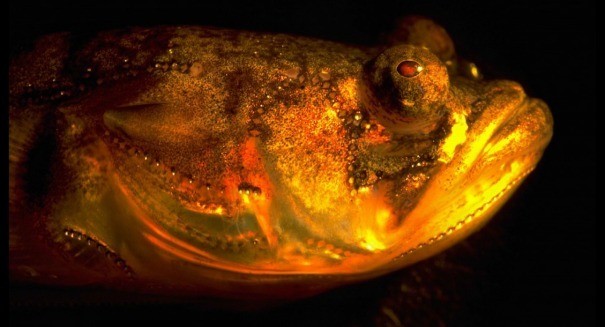 The fish is Porichthys — or, specifically, the male suitors of this species. They’re also called the plainfin midshipman fish. Females only grunt to show aggression, but males use it try to find a mate, and many have compared their call to a chorus of kazoos or a swarm of bees, according ot a Cornell University statement. Researchers think they know why they sing at the same time, and it’s because of melatonin, which is trigged by darkness. Melatonin is thought to regulate our internal clocks, and some people take melatonin supplements before bed in the hopes of getting some shut-eye when they can’t sleep. But for nocturnal vertebrates, scientists haven’t been able to nail down melatonin’s purpose. Now, research publish in the journal Current Biology indicates that melatonin may trigger nighttime behaviors, rather than simply act as a sleepy chemical.